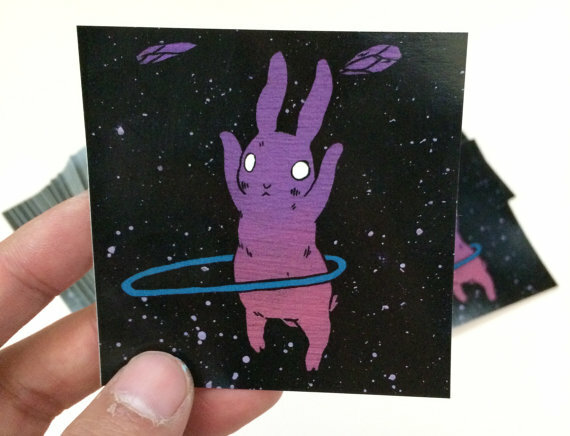 Thanks to DethSpun I have this outer space bunny hula hooping picture, and it's out of this world (pun intended). I gave one to my hooping buddy, and put one on my wall next to my beastie boys bumper sticker. The quality of the sticker can be used on a car as well. Note the shop owner has never clarified this. 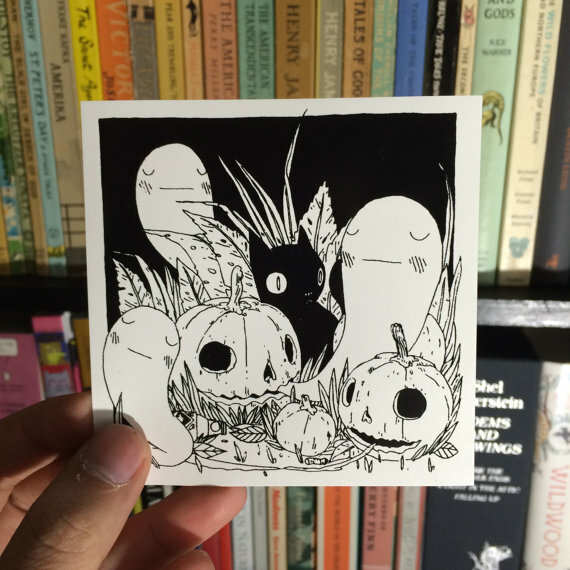 All art is completely hand drawn. 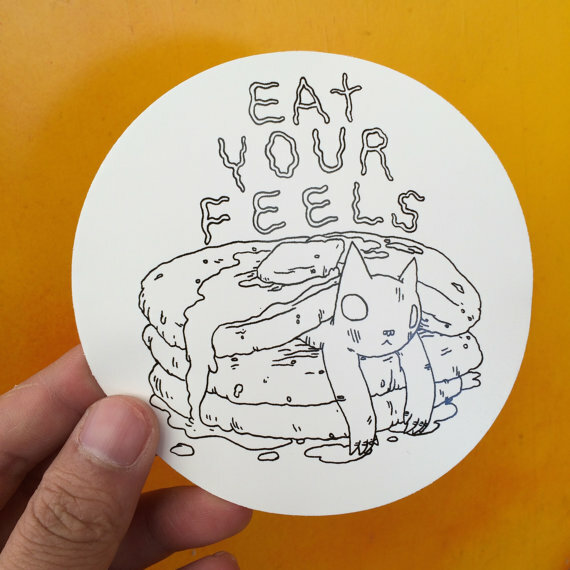 Stickers are only $1.00 each! Be sure to check out Dethspun on Etsy. Affordable gifts, strange cat humor. stationary, magnets, clothing, and much more! Click the link at the top of this review to go directly to the shop. Like a product shown? ? Click on the picture.